A committed, proactive and creative professional, Amalia has been involved in many nonprofits including Susan G. Komen and The DREAM Project. In business, Amalia has been part of numerous initiatives. In 2010 she licensed her first innovative interchangeable handbag technology to a large accessory brand and then launched her own line of accessories. Prior to entering the world of accessory innovation, Amalia worked in the entertainment industry where she got her start as a project manager in New York City’s vibrant music scene. She then transitioned into Television as a News Reporter for Univision in Denver, Colorado. As a journalist, she was fortunate to interview influential political figures including Laura Bush, Elaine Lan Chao, Senator Ken Salazar, Senator John Edwards, Elizabeth Edwards, Teresa Heinz Kerry, Federico Pena, Pete Coors, Dolores Huerta and Eva Longoria (Actress and Activist). Amalia is a member of WEN (Women Entrepreneurs Network) at the Eugene Lang Entrepreneurship Center at Columbia University and a member of LIMA: The International Licensing Industry Merchandiser’s Association. Amalia has collaborated with the Maestro Cares Foundation since its inception. Her work with the Maestro Cares Foundation has been rewarding and fulfilling. She is thrilled to continue making a significant contribution to a notable and worthwhile cause together with Marc, Henry, the Board of Directors and the many supporters who believe change is possible through social responsibility. In her spare time, Amalia enjoys reading, exercising and traveling, but most importantly, spending time with her daughter. Martha Korman-Zumwalt is Vice President for Strategic Business Positioning for Crossroads Advisory. 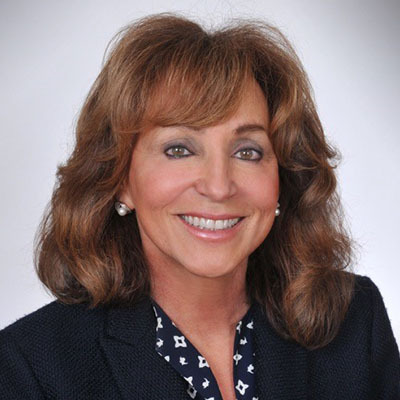 An entrepreneur, mother and philanthropist, Ms. Korman-Zumwalt also founded a regional graphic and printing business, National Graphic Imaging (NGI) in 1986. Martha and her late husband, grew NGI to annual revenues of over USD25 million, and the company became the largest reprographics firm in the southeastern United States. Among myriad accolades for her success, she earned Woman Business Person of the Year in 1998, and the Tampa Bay Business Journal’s Women in Business Award in 2002. In 2007, Ms. Korman Zumwalt sold NGI to American Reprographics Company (ARC), a NYSE USD 400 million company, where she became Vice President for Business Development. Responsible for top executive level business relationships with current and future national clients, she drove revenue in ARC’s Global Solutions Division from US$7 million to US$73 million in just seven years.